The 2018 Under-16 Western Flag Championships kicked off on Saturday in Regina, Saskatchewan with games in two divisions. In the Male Division, British Columbia won all their games on Saturday to remain undefeated. The team earned a 43-0 shutout victory over Saskatchewan, got past Manitoba 35-25 and crushed Alberta 54-6. Manitoba defeated Alberta 33-21 and squeezed past Saskatchewan 32-27. Saskatchewan got past Alberta 26-21. 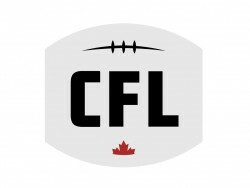 British Columbia is in first place with a 3-0 record, while Manitoba is ranked second with a 2-1 mark, Saskatchewan has a 1-2 record and Alberta has an 0-3 mark. Action resumes Sunday with British Columbia battling Manitoba at 9:00am CST and Saskatchewan tangling with Alberta at 10:00am. The medal games will be in the afternoon. As for the Female Division, Saskatchewan defeated Team West Black 20-12 and Team West White twice (26-14, 25-6). Team West Black tied twice with Team West White (13-13, 12-12) and defeated Saskatchewan 12-6. Saskatchewan is in first place, while Team West Black is second and Team West White is ranked third. On Sunday, Team West Black and Team West White will square off at 10:00 am. The medal round is scheduled to go in the afternoon.